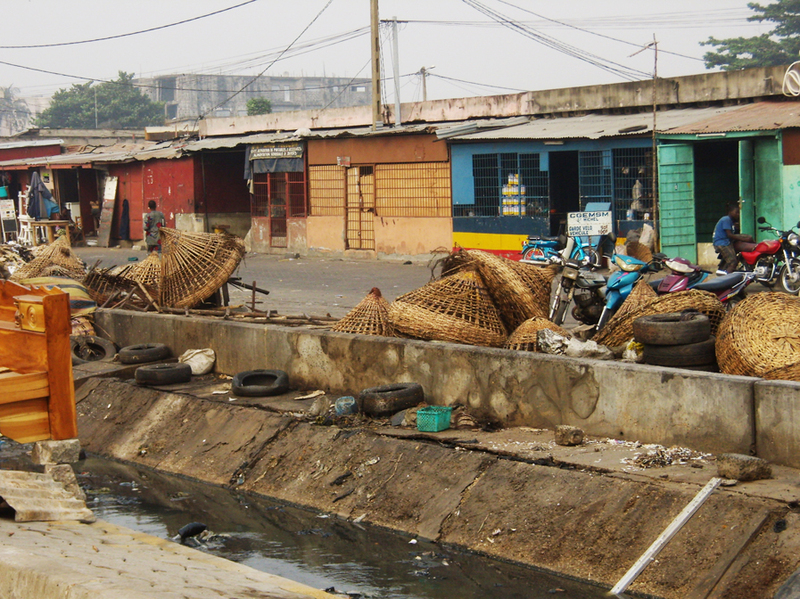 In a team led by Italian architect Giulia Marabini from Venice, we are currently developing a UN-HABITAT project in the Gulf of Guinea, the Ibadan-Lagos-Cotonou-Lomé Accra Great Urban Corridor. In recent years, UN-HABITAT has focused it work on African urban corridors, which they consider to be the best economic engine for current conditions, given that investments are concentrated along significant energy and transport infrastructures that maximize outputs. According to UN-HABITAT’s new report, The State of African Cities 2010, these urban corridors, mega urban regions and city regions emerging across Africa are playing an important role in establishing large and regular trade flows which in turn create business and employment opportunities. Along its 600 km stretch, this corridor we are working on is home to more than 25 million people, with a forecast of at least 50 million by 2050. To mitigate this uncontrolled growth, creative urban planning, developed ad hoc, is required, based on a series of urban centers that are strongly interconnected but economically diversified. It is a real challenge, as the project should prioritize affordable access to energy, the integration of agriculture into urban systems and the rational flow of goods and people in order to prevent infrastructure overload. Among the most interesting tasks at hand is the integration of a part of the Lagos megalopolis, which entails managing the contrast between urban patterns, overcoming border issues and improving inland water navigation. Another interesting question is the integration of indigenous urban patterns, so as to adapt the corridor to local conditions. 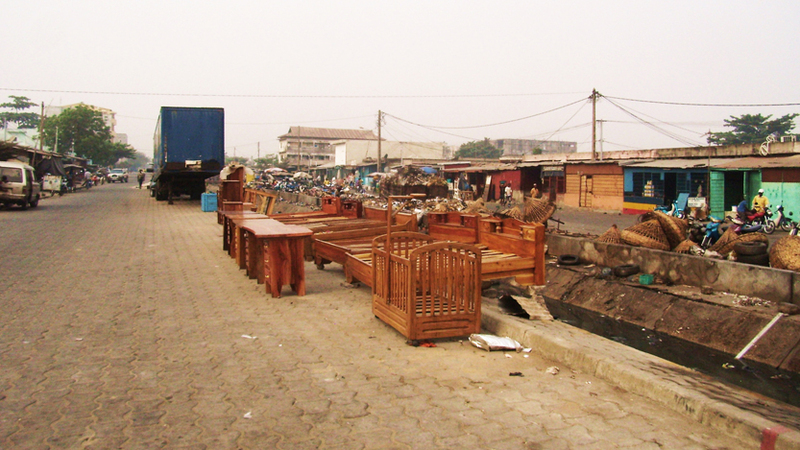 Local furniture market in Lomé, Togo, Gulf of Guinea. Part of the task involves defining whether there are ways of using public spaces that are specific to African culture, and how these could be integrated into urban planning. The truth is that urban corridors have already shown their effectiveness in various parts of the world, such as the Mumbai-Delhi Corridor in India. In Africa, the Maputo Corridor, which began as a simple transport corridor, has become the country’s economic engine. In fact, from the three recognized types of urban areas–city-regions, mega-regions and urban corridors–the last one clearly offers the best opportunities for a sustainable and balanced urban development. Until now, UN-HABITAT has been unable to enter Nigeria due to terrorist activity in the North, the energy crisis and conflicts in the South. Even local officials have advised us no to go, so at the moment our team continues to develop plans as we wait for further progress on the situation. For more information about the The State of African Cities-Urban Corridors project, download the full official UN HABITAT report. Antonio Lista is a geographer and urban planner specialized in Cultural Landscapes, and has worked on projects in Africa and South America. He is one of our course professors and a member of the LAU team. At present he is developing methodologies to bring traditional knowledge to present low density metropolitan planning. For more information about our professors, visit our Faculty page.